Bruce Campbell, Festa Italiana, Dar Williams and more. You can plan for a whole year of Utah arts events in this week's fall arts guide; you can plan for the coming week in particular as we look Beyond Essentials. 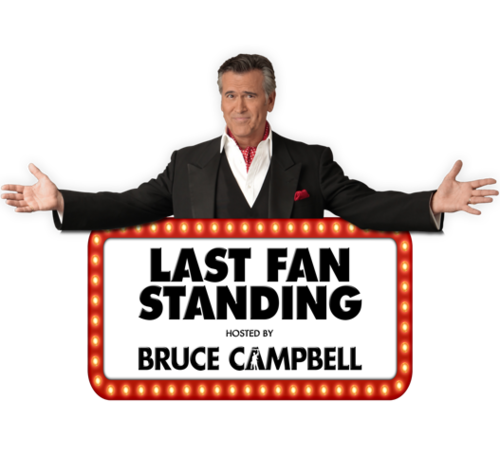 Actor Bruce Campbell (the Evil Dead series) takes a unique approach to a promotional book tour, touting his latest memoir, Hail to the Chin: Further Confessions of a B-Movie Actor, while also celebrating fandom. Last Fan Standing at the Tower Theatre (876 E. 900 South) on Tuesday, Sept. 19 at 7 p.m., turns Campbell's visit into a game show where he's the host, testing selected audience members who qualify through a preliminary quiz to come up on stage and answer trivia questions about horror, fantasy, science-fiction and superheroes. Your $50 per person ticket gets you an autographed copy of Campbell's book, plus a chance to be part of the live game; $100 VIP tickets include a personal meet-and-greet with Campbell. Visit saltlakefilmsociety.org for tickets. Italian-American culture is in the spotlight at The Gateway (18 N. Rio Grande St.) on Sept. 16-17 for Festa Italiana. Enjoy food and drink from local Italian eateries including Carmine's Italian Cuisine, Marcello's Ristorante Italiano, Caffe Torino and Pizzeria Frattelli Tasso, plus music from headliners Etnosound and The Joe Muscolino Band. And if you're feeling hungry and bold, sign up for the pasta-eating contest (Saturday) and/or pizza-eating contest (Sunday). Hours are noon-10 p.m. Saturday and noon-7 p.m. Sunday; admission is free. Singer-songwriter Dar Williams shows off her versatility as she reads from and signs her new book What I Found in a Thousand Towns, a meditation on what makes for a thriving community based on the artist's 25-year career as a touring musician. The event takes place at The King's English Bookshop (1511 S. 1500 East) on Friday, Sept. 15, 7 p.m.; a musical performance follows the reading and signing.